A fun and fascinating compilation of stories about New Hampshire's most notable newsmakers and remarkable historic events. 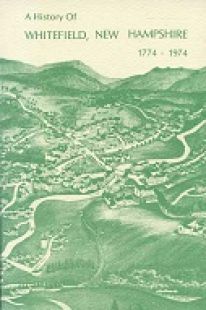 Good used copy of this bicentennial history of Bath, New Hampshire. A well done reprint edition of John Spaulding's early guide and history to New Hampshire's White Mountains. A real classic! A fantastic new history of North Conway, New Hampshire's iconic ski resort, Cranmore Mountain, by longtime local scribe and ski buff Tom Eastman. Newly published history of Gunstock Mountain in New Hampshire's Lakes Region. A must read for Granite State ski buffs. 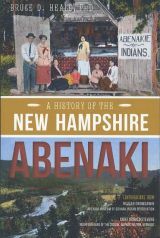 A newly published (2014) history of New Hampshire's Abenaki Indians by Lakes Region author and historian Bruce D. Heald. A true White Mountain classic! This is the story of the pioneer Crawford family as written by Lucy Crawford, wife of well known early guide and innkeeper, Ethan Allen Crawford. 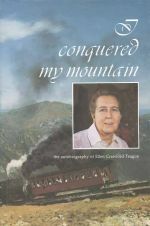 An excellent used copy of the autobigraphy of Ellen Teague, former owner of the famous Mt. Washington Cog Railway. Book is signed by the author! 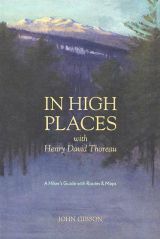 Second collection of the author's compilation of New Hampshire stories culled from WMUR's New Hampshire Chronicle program..
Take a modern-day journey to the backwoods haunted of Henry David Thoreau in this inspiring, informative and unique New England hiker's guide by John Gibson. The new second ediiton of author Stillman Roger's fascinating collection of true tales from New Hampshire's storied past. 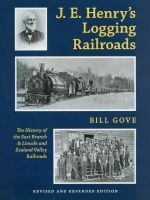 The newly revised and greatly expanded second edition of this classic history of James Everell Henry's logging railroad operations in New Hampshire's White Mountains. Includes more than 100 addiitonal pages and dozens of previiously unpublished photographs. A nostalgia-filled photographic history of the Granite State's many lakes and ponds.